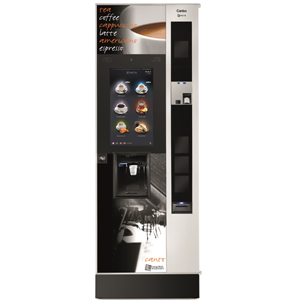 From strong espresso to creamy hot chocolate, the Canto floor standing vending machine offers something for every taste, making it a firm favourite among fans of coffee and other hot drinks alike. As one of our floor standing machines, the Canto is robust, reliable and perfect for use in public spaces. 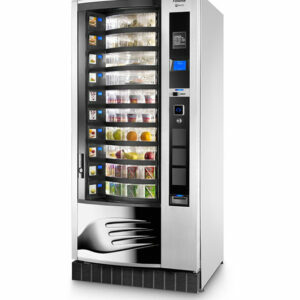 This means that commercial establishments such as hotels, and reception areas in busy buildings like hospitals and universities, can all take advantage of the excellent quality that the Canto produces: this is certainly one of our high-end models, meaning that customers who have grown accustomed to great-tasting coffee won’t be left disappointed. 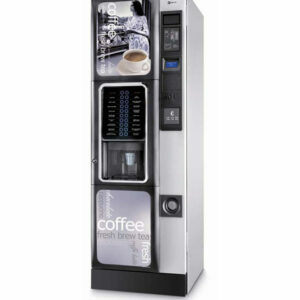 Canto floor standing vending machines are also a popular choice for offices and other places of work, as installing a coffee machine for your employees can save time, save money and boost worker morale. We love a punchy cup of coffee at the start of the working day, and most of your employees probably feel the same! We’re sure you’ll agree that this is an excellent selection, to satisfy just about every customer or employee. While taste is perhaps the most important thing, it isn’t the only factor to take into consideration. 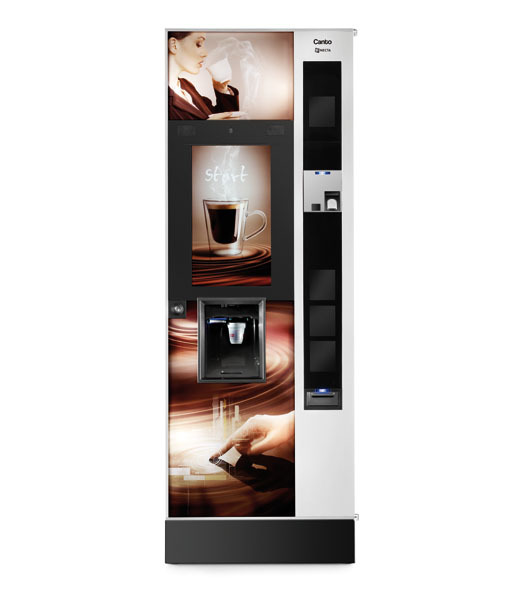 The Canto floor standing vending machine is also one of the most user-friendly options on the market today, with a contemporary touch screen that makes selecting and preparing a beverage an absolute breeze. Alongside its smart and simple interface, the Canto offers personalisation options which go beyond those found on many other machines. After-all, a hot tea or coffee should be made exactly how the drinker likes it! 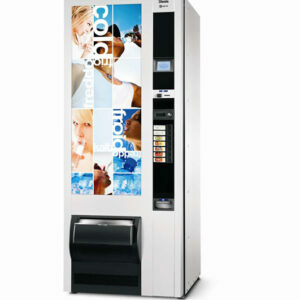 The modern touch screen also gives this floor standing vending machine a very professional appearance, so it will fit right into high end business offices or receptions, impressing the clientele and adding aesthetic value as well as usability. 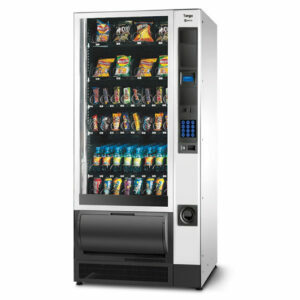 If the Canto vending machine sounds perfect for your needs, you’ll need to decide whether you want to buy outright or lease. Of course, each offer their own benefits: for smaller companies, those on a tight budget, or those still experimenting with the idea of adding a coffee machine to their premises, leasing can save money and even give you the chance to try before you buy outright. We can also supply the consumable items that are needed to keep your machine up and running, from cups and lids to all the supplies needed to make coffee, tea, hot chocolate and other drinks. This means that, if you choose to come to Forward Vending for your machine, you can be sure that you’ll receive a full, comprehensive service. We’re always happy to chat with potential clients, so why not dial 0800 444 443 and let us know how we can help? Our team will be happy to give you more information about the Canto – or, if you’re still trying to choose the perfect machine, we can discuss your requirements and share some advice. You can also email us at sales@forwardvendors.co.uk; we look forward to helping out.